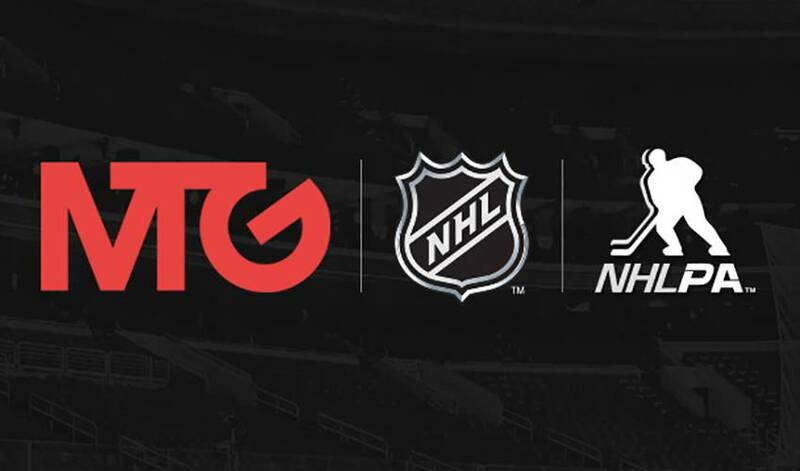 MTG and the National Hockey League (NHL®) today announced a five-year partnership renewal that includes broadcast and online exclusivity for NHL games across the Nordic countries – Denmark, Finland, Norway, and Sweden. MTG has also reached an agreement with the National Hockey League Players’ Association (NHLPA) & the NHL to broadcast the 2016 World Cup of Hockey. MTG has held the NHL rights since 2009, and will own the exclusive Nordic rights to all regular season games, the Stanley Cup® Playoffs, the Stanley Cup® Final, and key NHL events over the next five years: NHL Winter Classic®, NHL Stadium Series™, NHL® All-Star, NHL Heritage Classic™, NHL Awards™, and NHL Draft™. Jørgen Madsen Lindemann, MTG President and CEO. David Proper, NHL Executive Vice President of Media Distribution and Strategy. MTG today also announced an agreement with the NHL and NHLPA to broadcast the 2016 World Cup of Hockey, a two-week tournament taking place in Toronto, Canada from September 17 to October 1, 2016 and featuring eight teams of the world’s best hockey players. With 121 Nordic players under contract with the NHL – including 77 from Sweden – the international tournament will be played between national teams from the U.S., Canada, Russia, Sweden, Finland, Czech Republic, as well as two all-star teams: ‘Team Europe’ and ‘Team North American Youngstars’. The World Cup of Hockey is a joint effort between the NHLPA and the NHL, in cooperation with the International Ice Hockey Federation (IIHF). Sandra Monteiro, NHLPA Chief of Global Business Strategies. Subscribers to MTG’s online streaming service Viaplay will continue to be able to watch all games live. The top games will also be shown live on MTG’s pay-tv sports channels including the dedicated pan-Nordic Viasat Hockey channel and TV3 Sport in Denmark. NHL games can also be broadcast on any of MTG’s ten Nordic free-tv channels.